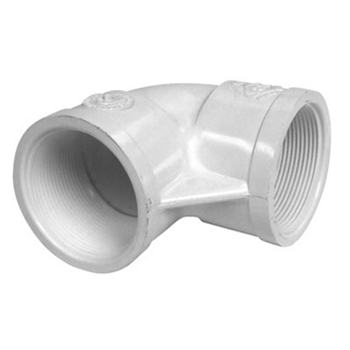 Elbow fittings are great for running tubing out of waterfall vaults and skimmers. You will need to take into consideration that an Elbow fitting causes more head pressure. This could be good if you need to cut down the amount of head pressure the pump is producing going to a pond filter or UV but could be bad if you are needing more head for a waterfall.